Summer and watering go hand in hand, and watering in the right spot at the right time is essential. Watering the foliage may give the plants a nice lush look while wet, but it’s a waste of water; always water the roots of the plants to the width of the drip line (the drip line is the width of the plant and when it rains imagine the rain dripping around the direct area from the leaves). Always water early in the morning because if you have fluctuating temperatures at night watering can cause fungus to breed. If you water during the heat of the day the water evaporates faster and can burn the leaves of your plants. However, if you are watering the root ball of the plant you can generally water either late at night or in the morning. Use mulch to help conserve moisture and to water less. In the summer mulch blocks sunlight and therefore helps keep the soil moist. Mulch is also important to help keep a consistent soil temperature, this is especially important with fruiting crops such as tomatoes. These decay over time and are temporary. 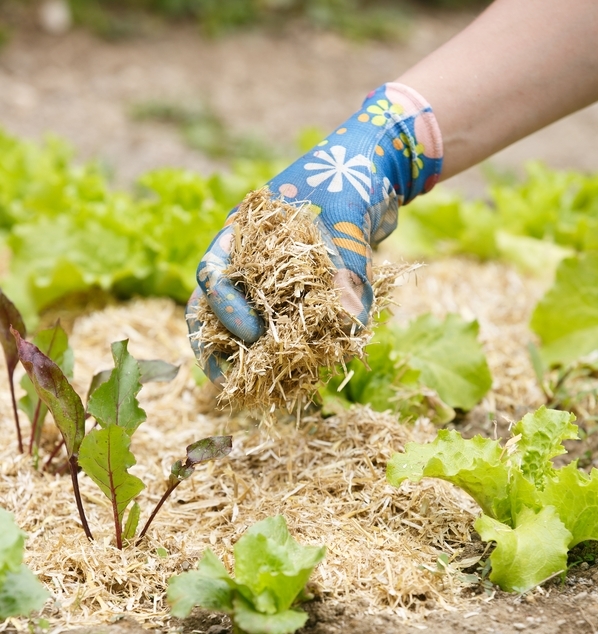 Commonly used organic mulches include; leaves, peat moss, wood or bark chips, pea straw, or sphagnum moss. A popular product is Magic Mulch; this is a sphagnum moss that has been soaked with Ocean Organics. Ocean Organics is a natural fertiliser with huge quantities of minerals and nutrients that NZ soil often lacks, making this product ideal when incorporated with edible crops. The Iriso drip feed irrigation system is a unique watering system. It automatically waters your plants without mains water, electricity, pumps, batteries or timers. It is ideal for areas with water restrictions. Once you try this, you will not to be without it. It is the ideal watering solution; you can leave it for weeks at a time and return to healthy plants in the garden, home or office. A great gift idea or sanity keeper for when you’re on holiday and your ‘reliable’ garden waters aren’t so reliable! For those indoor plants we also have the Elho Aqua care 2 pack. Elegant and stylish they will water the root ball of your precious houseplants during the heat of the summer, perfect for those days you’re out and about.